Intellectual property of the web. Copyright © 2017, STI@24®, all exploitation rights are reserved. The intellectual property rights over the web, graphic design and codes are owned by STI@24, Edgar Wild Alonso. 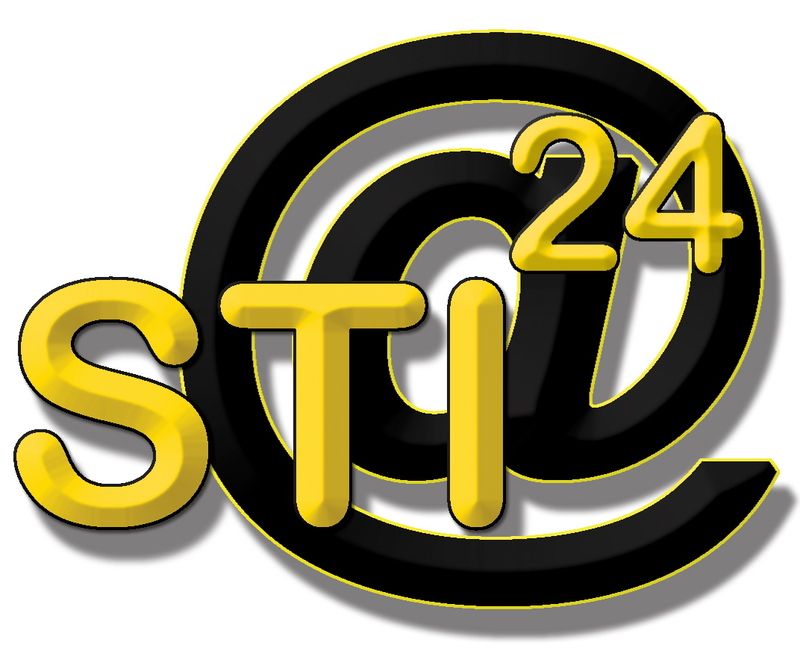 STI@24, is a Registered Trademark. It corresponds to said company the exclusive exercise of the rights of exploitation of the same in any form and, especially, the rights of reproduction, distribution, public communication and transformation. The right of partial reproduction of its content is granted provided that the following conditions are met, being forbidden any acts that have not been expressly authorized by STI@24. That is compatible with the purposes and interests of STI@24. That it is carried out in order to obtain the information contained and not for commercial purposes or for use other than the individual or private. That no item available on this website is used, copied or distributed separately from the text or other content that accompanies it. That it be communicated previously, in writing and in a reliable manner, to STI@24 and in turn, obtain the certified authorization of the entity for such use. That the elements reproduced will not be subsequently transferred to third parties or will be installed on a server connected to the Internet or to a local network. STI@24 reserves the right to update, modify or eliminate the information contained in its web pages and may even limit or not allow access to such information. The information contained in these web pages is current as of the date of its last update and must be considered as a guide for the user, regarding the products and services and other information contained in these pages. The user can confirm the date of the update of any information, if requested, through the email box that is available on the same website. STI@24 rejects the responsibility that derives from the bad use of the contents and reserves the right to update them whenever they want, to eliminate them, limit them or prevent access to them, temporarily or permanently. STI@24 rejects the responsibility on any information not contained in these web pages and, therefore, not elaborated by STI@24 or not published with its name. STI@24 is not responsible for any discrepancies that may arise between the version of your printed documents and the electronic version of them published on its web pages. STI@24 is not responsible for the use that minors make of the web. STI@24 is not responsible for the contents of the website to hurt the sensitivity of minors. It is the responsibility of the parents to ensure the correct use of a tool such as the Internet and to accompany the children in their sessions. STI@24 rejects the responsibility on the information contained in web pages of third parties connected by links, with the web pages of STI@24, or that are not managed directly by our administrator of the web. The function of the links that appear on this page is for informational purposes only and in no case does it imply a suggestion, invitation or recommendation for the visit of the places of destination. STI@24 is not responsible for possible security errors that may occur due to the use of outdated versions of browsers, or the consequences that may arise from the malfunction of the browser. STI@24 informs that to allow users to access some of the web services, it is necessary to collect personal data. In accordance with the provisions of Organic Law 15/1999, of December 13, Protection of Personal Data, and other legislation that develops or is applicable, STI@24 informs that it will proceed to the creation of an automated file of personal data, which will collect data that are necessary to allow access to and use of the web services. STI@24 guarantees the adoption of the appropriate measures to ensure the confidential treatment of said data. The user will respond, in any case, of the veracity of the data provided. If the user wishes to know or modify the collected data, he only has to send an email. All images on this website are property of STI@24. They are protected by the international laws of intellectual property and copyright. Copying, reproduction and public communication is prohibited. Its sale or rental is prohibited. It is totally forbidden its distribution, extraction, transmission and storage in any form or support.